Merseytravel is once again offering free bus services on Christmas Day, to help people make hospital visits or to spend time with their friends and family. 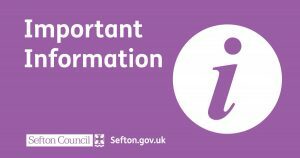 Buses will operate a limited service from around 12 noon until around 6pm on routes serving hospitals across Merseyside. Councillor Liam Robinson, Liverpool City Region Combined Authority Transport Portfolio Holder, said: “We are one of a very few areas that operate services on Christmas Day, which can be a lifeline for people who would otherwise not be able to see their loved ones in hospital on this very special day. 10A between Queen Square Bus Station, Page Moss, Whiston Hospital and St Helens Bus Station. 12A between Queen Square Bus Station, Stockbridge Village and Huyton Bus Station. 21A between Liverpool ONE Bus Station, Walton Vale, Black Bull and Kirkby Bus Station and Kirkby Tower Hill. 44 Between Formby Duke Street, Southport Hospital Town Lane and Crossens Rufford Road. 62A between Crosby Islington, Bootle The Strand Stanley Road and Aintree University Hospital. 102 Between Broadgreen Hospital, Alder Hey Hospital, Croxteth Park Stand Farm and Aintree University Hospital. 201 between Queen Square Bus Station, Royal Liverpool Hospital and Speke Morrisons Bus Facility. 410 between New Brighton Kings Parade, Woodside Bus Station and Clatterbridge Hospital. H2/3 between Whiston Hospital and St Helens Bus Station. No other bus services will operate. No trains will operate. Mersey Ferries will not operate. For further information check Merseytravel Christmas & New Year Transport Guide, www.merseytravel.gov.uk/travel-updates or ring Customer Services on 0151 330 1000. Mayor's Musings: From yacht racing to tomato tasting!